ANECCC was formed in 1952 and brings together Motor Clubs from Morecambe Bay to the Solway Firth in the West and Hawick to Leeds in the east. It coordinates the dates list and map allocation by consensus of the member Clubs. One of the major tasks of the Association is the dissemination of knowledge, both up and down, between MotorsportUK and the member Clubs. The voice of the Association is represented on MSUK Regional Committee ( the only elected body of Motorsport UK) and it has the power to nominate individuals to sit on any of the governing body specialist committees. 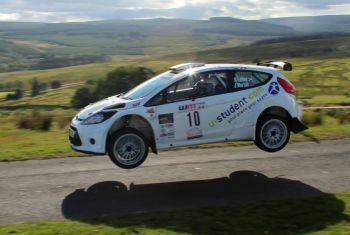 The Association, through it’s willing band of volunteers, organises regional championships for the area in Stage Rallying and also Autocross. Hopefully an Autotest series will soon be created. Contenders in the various disciplines are able to represent the Association in the Inter Association events, supported by the Regional Committee. Meeting four times a year it is a conduit for competitors, organisers, marshals, Clubs and the three Groups, (Cumbria, Tees and Tyne) to make representations to the governing body and this region has contributed much to the sport over the years.